Nowadays most repeaters in the Netherlands require a CTCSS subcarrier to be used. My 30 years old FT290R however does not include this feature. On the internet I found an excellent description of a CTCSS generator which could be build into the FT290R and supported multiple CTCSS frequencies by reading the memory channel setting of this set. G7AQA's excellent description of how to modify the FT290R can be found here. This generator uses square waves for the CTCSS tones, so it is possible that the 3rd or 5th harmonic ends up (audible) in the voice signal. Due to the simple filter the output level will also vary with the selected frequency, a 113 Hz signal is attenuated a lot more than a 71.9 Hz signal. 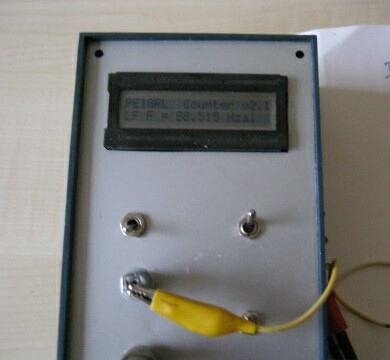 I therefore modified the software to use a software DDS generator which will output a nice sinus. 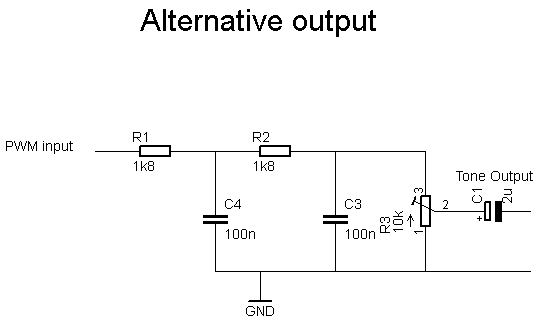 The D/A conversion is achieved by an 8bit converter using PWM modulation. The PWM carrier is 15625 Hz. 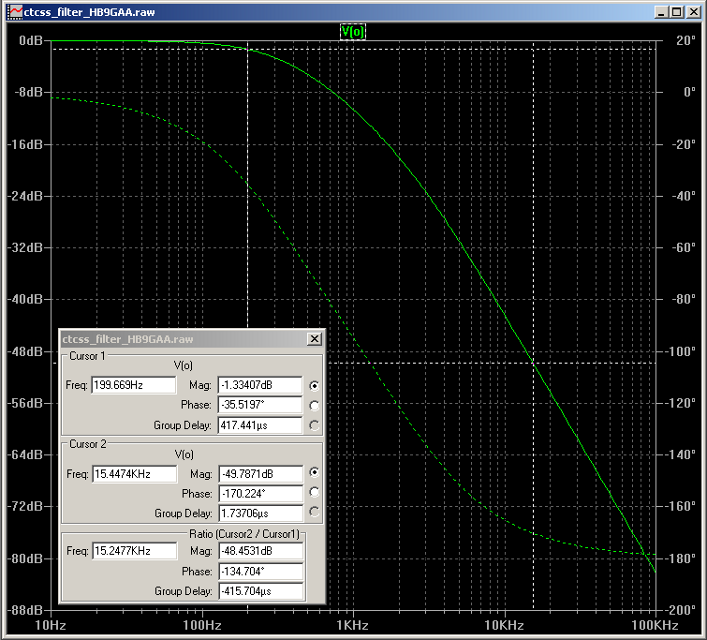 Separating the 15 kHz PWM carrier from the CTCSS tone (+/- 100 Hz) is achieved with a 2stage RC filter. The outputlevel is independend of the selected CTCSS frequency. The DDS itself runs at 3906.25 Hz. A 16 bit DDS is used giving a step of approximately 0.06 Hz which is sufficient. I also replaced the 18pin 16F628A with the smaller 14pin 16F684 microcontroller. 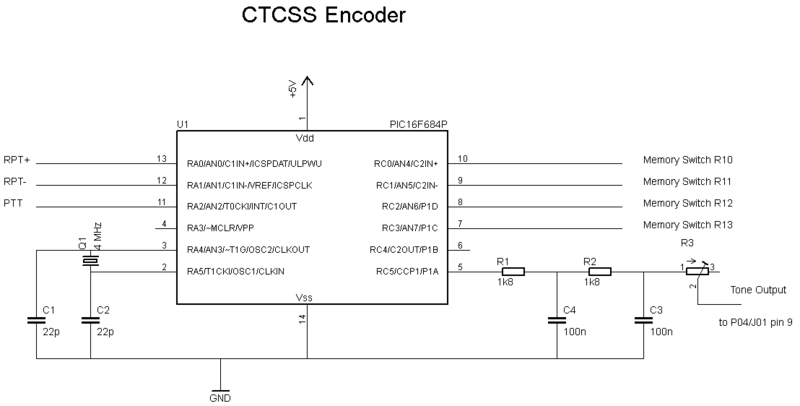 The CTCSS tones have the same output independend of the selected frequency, the carrier is suppressed 100dB. 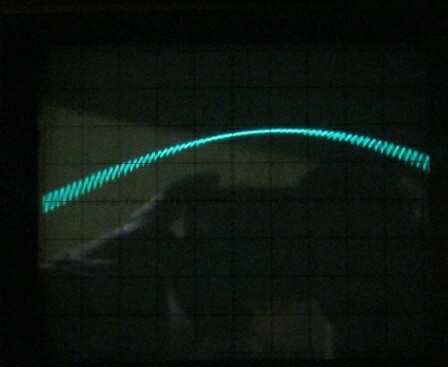 The display indicates 88.515 Hz when a frequency of 88.5 Hz was selected. A BCD switch, or 4 dipswitches can be used to select up to 16 different frequencies. 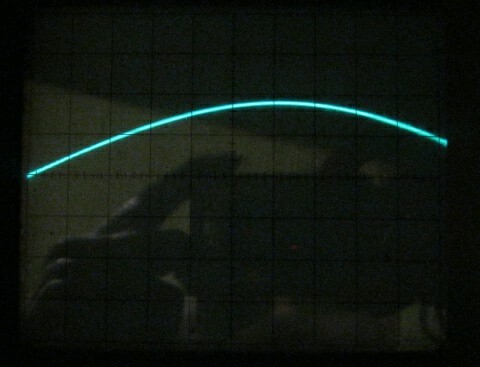 Depending on the impedance of the insertionpoint you could alter the value of C1. In the published source code only 4 frequencies are specified. In the Netherlands no other carriers were used (in 2009). assume it is 4 MHz. The latter will give a step of (4000000/67108864) = 0.059604644775390625 Hz. the phase increment should be 77.0 / 0.059604644775390625 = 1291.85. The increment in the table should be 1295.